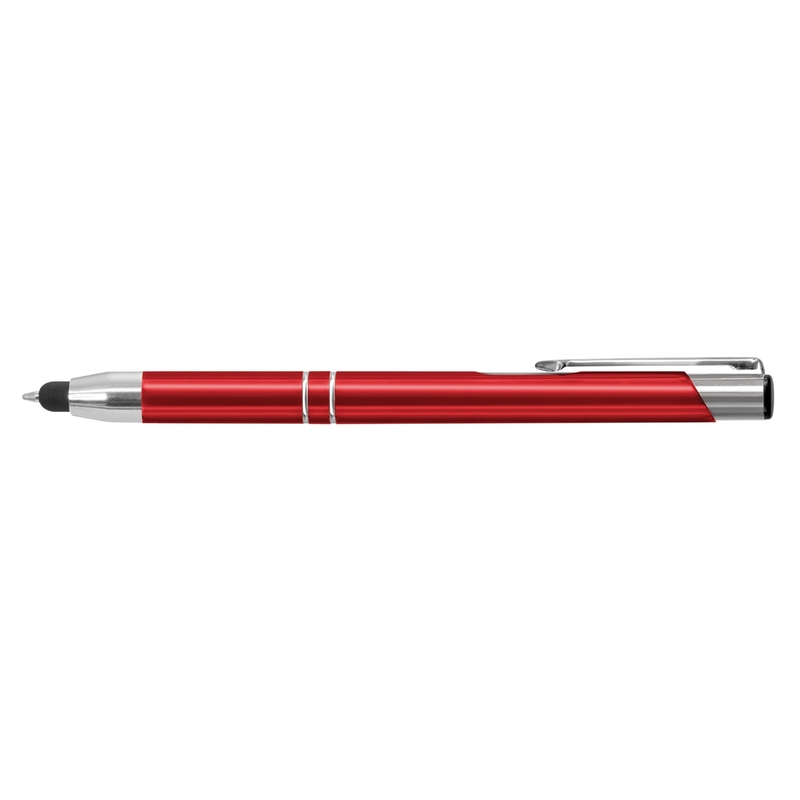 A sleek stylus pen that comes in many different colours, featuring your logo. 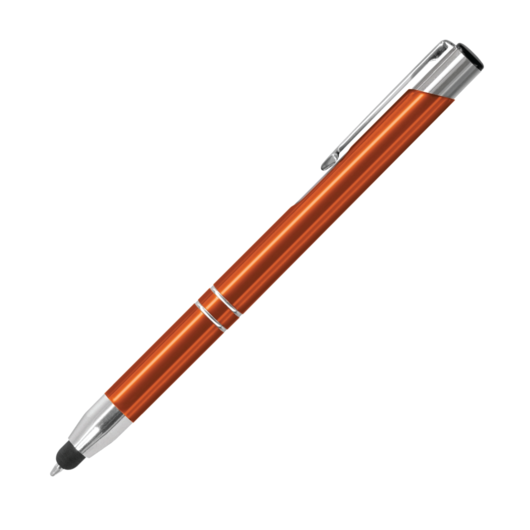 Featuring one of our most popular metal pen designs now available with a handy stylus! 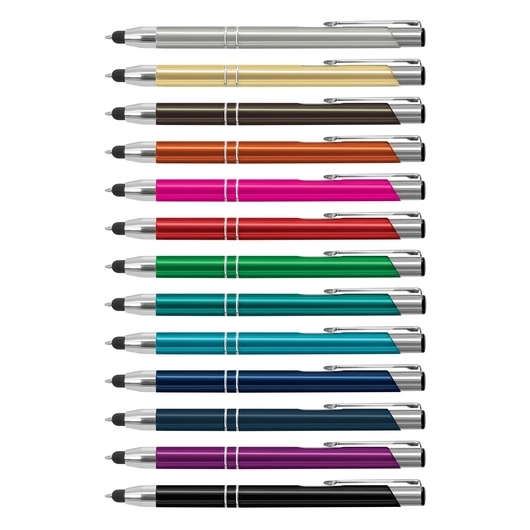 It's everything you want in a metal pen: a sleek design, great selection of colours at a value oriented price. 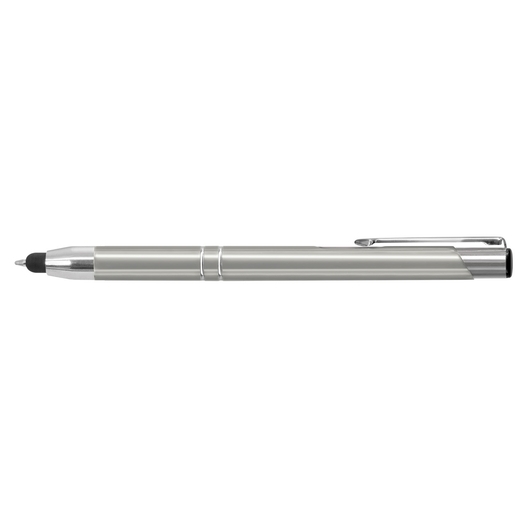 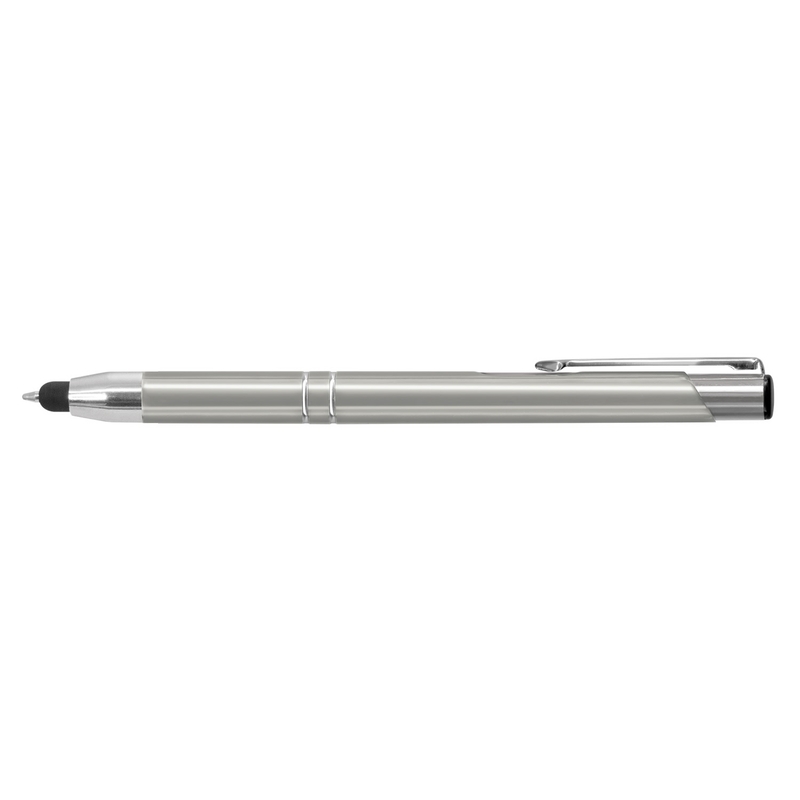 The pen contains 1000m of black writing ink and can be laser engraved to an oxidised white colour finish. We can also present these in a black velvet sleeve or gift box for an additional cost, just ask us!